In an effort to meet the need of subscribers with slow connections, Twitter has introduced a new web-based Twitter Lite solution. Twitter Lite is aimed for those on unstable or unreliable networks as well as those on slow connections. Indeed, based on a report from GSMA, 45% of smartphone connections are on 2G speeds or slower. Using data compression and other techniques, the Lite version of Twitter can launch about 30% quicker. It is also more resilient on slow speed connections. The new Lite version is accessed by going to mobile.twitter.com from your mobile device. Once there, you will see that it looks pretty much like your normal Twitter feed. Now tap on your profile avatar to go into Settings. About halfway down you will see a new Data Saving feature which you can enable. This further reduces the load of Twitter to your phone’s browser, by up to 70%. screen shot I’ve captured on the right to get a better idea of how it looks. If you allow for notifications from Twitter Lite in Chrome on your Android phone, you can get notifications. It also supports offline viewing in case your connection is interrupted. All of this is aimed at making the service more accessible to those in low speed connection environments. This is particularly true of emerging markets in Asia, Latin America and Africa where bandwidth is still a premium. 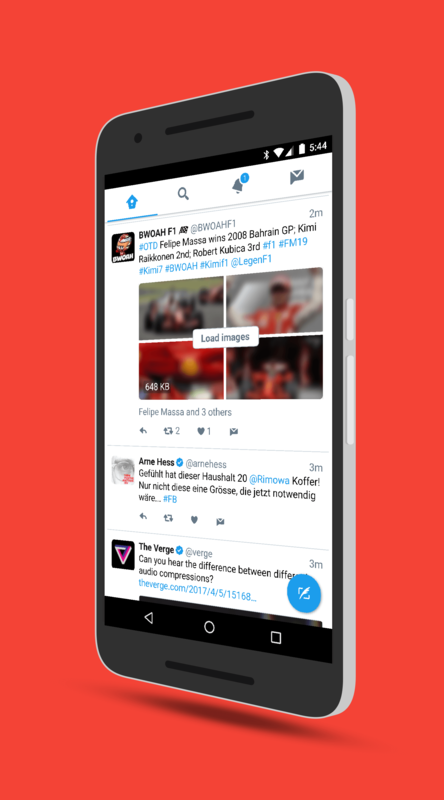 Twitter Lite is rolling out today globally and you can access it from your phone by going to mobile.twitter.com.